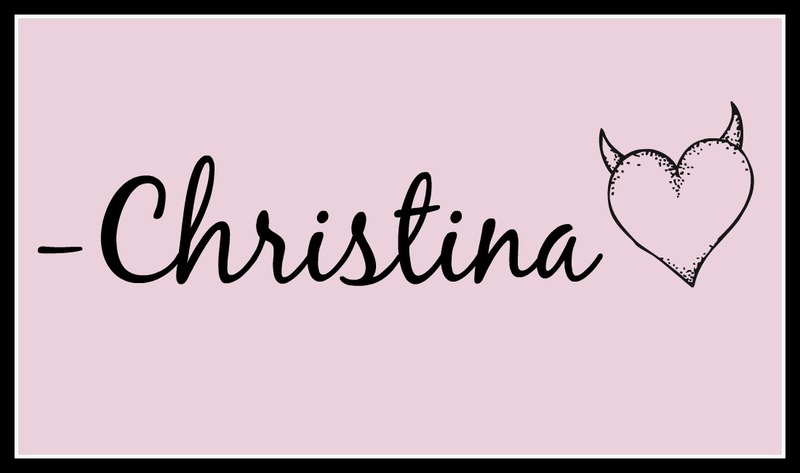 Even though I've decided to start writing about more than books on the blog, I've kept my reading goal at over 70 books for the upcoming year...and am excited to still share with you some of my favorite reads. 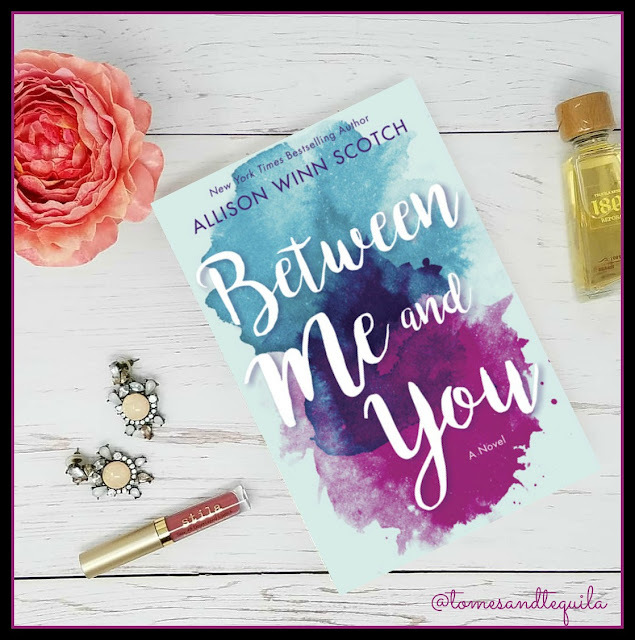 Between Me and You by Allison Winn Scotch* had been on my wishlist for almost a year, and through a combination of lovely blogger magic, I had the privilege of reading it right before it's release last week. I believe I'm supposed to put in my review that "I received this as part of the Great Thoughts Ninja Review Team, but all opinions are my own", but when I checked to see if I had the wording right, I realized I'd been kicked out of the FB group! I'm guessing this is probably due to the fact that I don't normally finish 10-12 books a week, and am no longer exclusively writing about books...but I am nonetheless grateful that they allowed me to read this one! 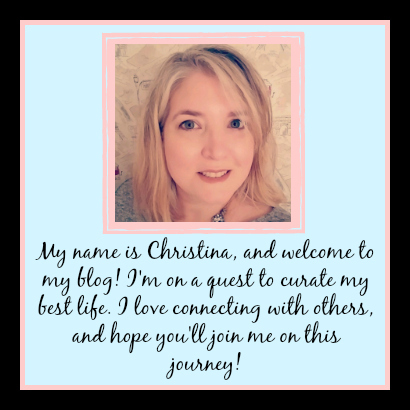 Like I've told you before, I'm not the best book blogger around. Enough about my shortcomings...let's talk about this lovely book! I have previously reviewed the book In Twenty Years, also by Allison Winn Scotch on the blog, and I have to say...her writing keeps improving, and this new one was complicated, subtly nuanced, and incredibly thought provoking. I so enjoy when I feel an author's books keep getting better and better. 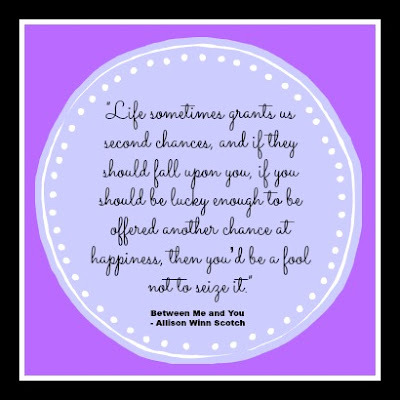 Between Me and You is the story of Ben Livingston and Tatum Connelly. They meet at a bar, where Tatum is bartending while attending school for acting. Ben is an aspiring screenwriter. They fall in love, and their relationship evolves. Through the death of loved ones, the birth of their child, Oscars, secrets, stalkers, and more...this is the story of Ben and Tatum. Told in chapters that alternate between Ben and Tatum's point of view, with Tatum's timeline starting with them meeting for the first time, and Ben's timeline beginning at the end and working back...it feels confusing for the first couple of chapters, but then you get a feel for the characters, and it all makes sense. Because of the manner it's written, you find out bits and pieces of stories before you get the full details. In a way, that made some of the plot twists a little more interesting than if it had been writing in a strictly chronological manner. This is one of those "Love Stories" where it's not all black and white. Neither of the main characters is perfect. They are both flawed, and human...as we all are. They both make mistakes...things happen. But it is interesting to see how it all plays out over the course of a couple decades. And I really enjoyed it. So, if you're looking for a less than typical contemporary fiction book, this one should be on your list. Definitely grab it if you enjoy reading books that are a little bit Hollywood, as this one has some movie star flare in bits and pieces, with the main characters being in the industry. At 358 pages, it wasn't a quick read, for whatever reason. I didn't finish it in one go, but that may have more to do with what all was going on in my life at the time, and less to do with the book. Have you picked a reading goal for the year? Is anyone doing a particular reading challenge? Let me know in the comments! *Contains affiliate links, visit my review policy page for details.